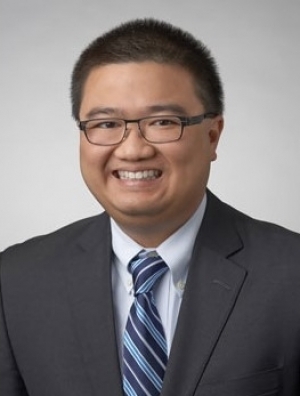 As a member of the firm's Health Law Group, Chris Dang assists clients with regulatory compliance issues, including: corporate governance, mergers and acquisitions, vendor contracting, operations, Stark Law and Anti-Kickback (AKS) compliance, HIPAA and state medical record/privacy requirements, and labor and employment issues. He also regularly advises clients on compliance requirements during turnaround efforts, restructuring, and bankruptcy. Advises chain, regional, and independent pharmacies with practice of pharmacy requirements, supply chain, controlled substance (both DEA and state CSAs), and business licensing, including change of location (CHOL) and change of ownership (CHOW) requirements. Counsels pharmacy benefits managers (PBM), third party administrators (TPA), and discount medical program organizations (DMPO) on licensing, sponsor/marketer contracting, fraud/waste/abuse laws, and operational compliance issues. Assists drug and device manufacturers, wholesalers, and repackagers on licensing, operations management, and Drug Quality and Security Act (DQSA) issues. Counsels physician practices on matters related to employment and shareholder agreements, compensation, hiring and termination negotiations, in-office dispensing, and practice operations. Advises clients on disaster preparedness, immediate disaster response, and mitigation efforts to minimize damage and impact to operations. Defends health care facilities and professionals against regulatory and licensing board investigations and complaints. Arizona Journal of International & Comparative Law (Managing Editor). 2011 Outstanding Journal Editor. 2011 Dean's Service Award. CALI Award (ERISA & Employee Benefits Law). Phi Alpha Delta. American Bar Association (Law Student Division). Student Bar Association (American Bar Association Representative and Student Representative). Ares Fellow. Writing Fellow. Gust Rosenfeld Scholar. University of Arizona Mock Trial (Mentor). Morris K. Udall Inn of Court (Pupil). Majors: Political Science & Sociology. Phi Beta Kappa. Advanced Placement Scholar. Phi Alpha Delta Pre-Law Fraternity (President, Service Chair, Youth Mentor Chair, Publicity Chair). University of Arizona Mock Trial (Team Captain). Project Volunteer (Youth Programs Coordinator).